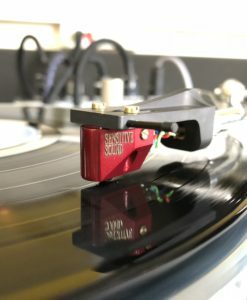 Sensitive Sound cartridges are built by an 47 old years old Engineer of electronic components, industrial designer, called Roman Lebedev and founder of the company Sensitive Sound. The company is located in Ekaterinburg and was founded in 1999. Positive impact and contribution to the development of the company Sensitive Sound had a joint cooperation with manufacturers in Japan and the United States from 1995 -1999 years in the field of design studies materials and technologies, industrial know-how the audio equipment of class hi- end. All the products are based on long-term research and experience in MC Cartridges production.